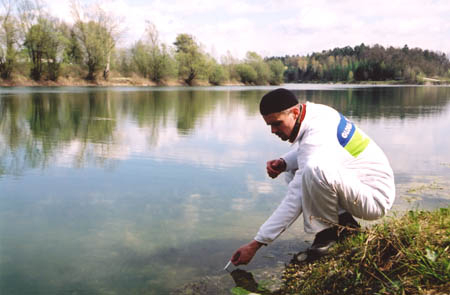 GLOBAL 2000 is an independent Austrian environmental organization. GLOBAL 2000 is a member of Friends of the Earth, the largest international network of environmental organizations. Since 1982, GLOBAL 2000 has been working on controversial social themes to uncover potential hazards for humans and the environment. GLOBAL 2000 closely monitors the development of environmental policy in Austria and is committed to ecological fairness and a future worth living both locally and around the globe. Helping victims of ecological disasters is part of our work. GLOBAL 2000 is a member of Friends of the Earth, the largest international network of environmental organizations. To reach our goals, we cooperate with other environmental organizations, citizens’ initiatives, independent action groups and selected corporate entities. GLOBAL 2000 acts on well-established scientific findings and by using all democratic means available. We are actively opposed to each and every restriction of democratic freedom, but always in a non-violent and solution-oriented way. GLOBAL 2000 is independent, politically inconvenient and critical of parties, the government and the economy. This guarantees our credibility. GLOBAL 2000 follows its goals passionately, persistently and proficiently. Environmental protection does not mean fighting the symptoms, but revealing the causes and conditions of global ecological destruction and searching for viable solutions with all possible commitment. GLOBAL 2000 generates public pressure through lobbying, activism and releasing information. Our projects set positive examples of ecological solutions for political decision makers, the economy and the people. GLOBAL 2000 works efficiently, is not profit-oriented and is mostly financed through private donations. Donations are used responsibly and solely for the purpose of reaching our goals of environmental protection. This is expressed in the Spendengütesiegel, an official seal of approval comparable to a favourable evaluation by charity watch. GLOBAL 2000 as a team acts according to democratic principles and consists of both regular employees and volunteers. Personal conviction and a strong commitment to the cause are essential for the job. GLOBAL 2000 offers the alternative of a better world in spite of current political and economical developments. Our vision even shows in our office routines. That an ecological and socially responsible society – a society fit for the future – is possible!